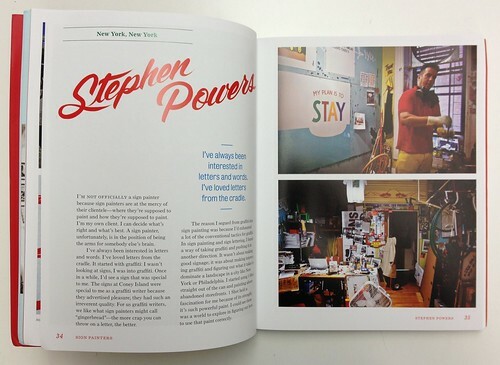 Spread from Sign Painters by Faythe Levine and Sam Macon. 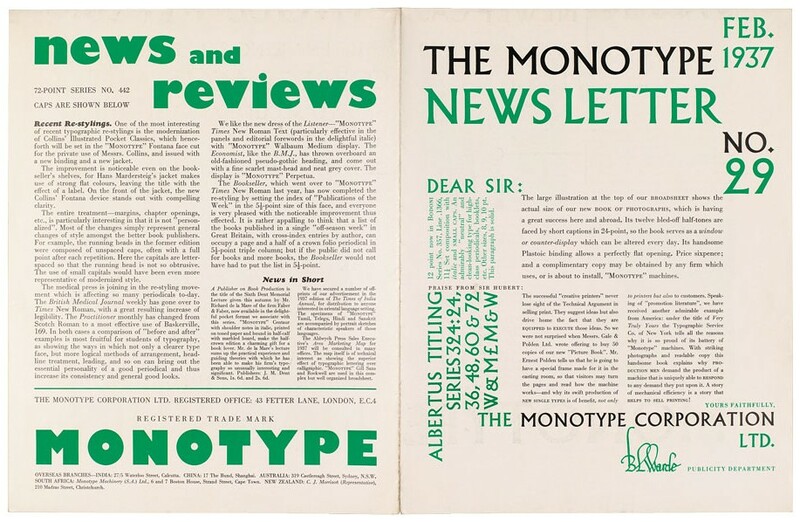 Top: The Monotype Newsletter edited by Beatrice Warde from the 40-page feature ‘Deep in the Monotype archive’ in Eye 84. Recently published book Sign Painters, by Faythe Levine and Sam Macon (Princeton Architectural Press, £15.99, $24.95), documents the work of more than 25 sign painters (such as Stephen Powers, Phil Vandervaart and Caitlin Galloway) across the United States. Sign Painters (official trailer) on Vimeo. 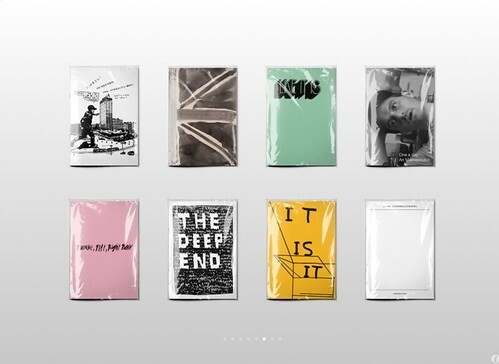 Nieves, an independent publishing house in Zurich, has released their 2012 Zine Box (£150) featuring zines from twenty artists and designers such as Stefan Marx, Shoboshobo and Rob Lowe. Lowe (aka Supermundane) will be speaking at the Catch-up Conference on image making and art direction, Sat 23 March at Mexico Project Space, Leeds. For a quick look at Nieves’ publications, check out its simple iPhone and iPad applications that showcase digital micro zines in a skeuomorphic setting, with plastic wrapped titles (above) and scanned paper textures. Each zine has a four-page preview and sells for 69p. Tom Gauld, Untitled (cover for a book), 2009. 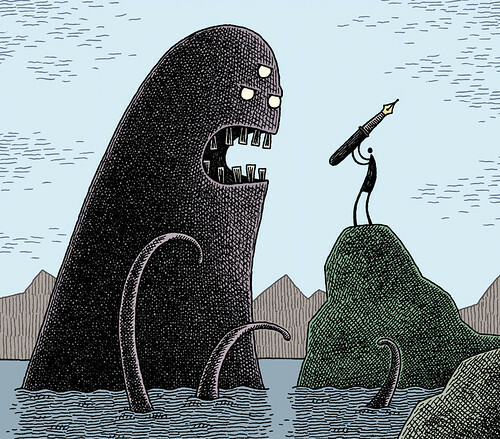 Illustrator / cartoonist Tom Gauld will be speaking at The Typographic Circle 27 March 2013 before the release of his book You’re All Just Jealous of my Jetpack this spring. Read ‘Gentle Giant’, Clare Walters’ review of Gauld’s Goliath in Eye 83. Monotype’s Pencil to Pixel exhibition, seen in London late last year, will be on display in New York from 3 > 9 May 2013. See the installation video on YouTube (below). 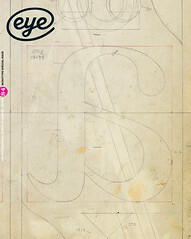 Read more about Monotype’s history in our current issue, Eye 84. Eye is the world’s most beautiful and collectable graphic design journal, published quarterly for professional designers, students and anyone interested in critical, informed writing about graphic design and visual culture. It is available from all good design bookshops and online at the Eye shop, where you can buy subscriptions and back issues. Eye 84 is sold out, but you can see what it looks like at Eye before You Buy on Vimeo.